Reputedly the most beautiful beach in Britain, the wild and spectacular Sandwood Bay in Kinlochbervie is backed by huge sand dunes and a loch. 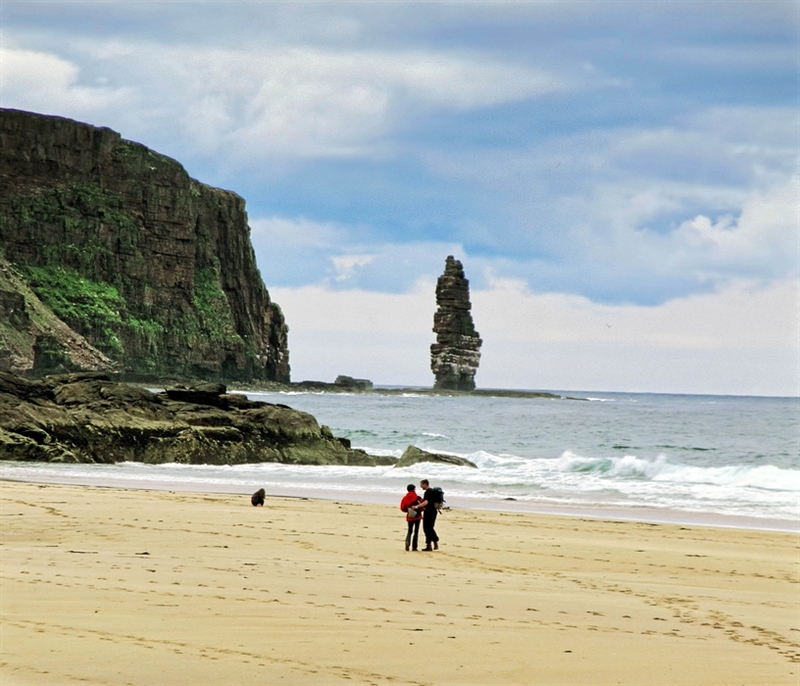 Facing straight into the teeth of the North Atlantic, the beach has nearly 1.5 miles of wide pink sand which is flanked by cliffs. 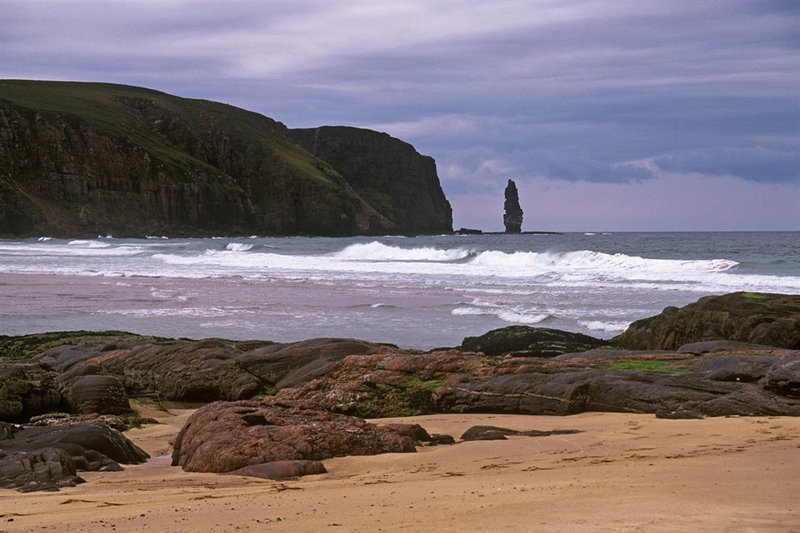 To the south stands the impressive sea stack of Am Buachaille, while behind the bay’s large dunes stretches Sandwood Loch - a freshwater loch full of brown trout. The beach is considered to be one of the most unspoilt beaches in the whole of mainland Britain. This remote bay has no road access but can be reached by a 4 mile, well-trodden and fairly flat path leading from the gravel car park at the hamlet of Blairmore. The bay is part of the Sandwood Estate which is run by the John Muir Trust.